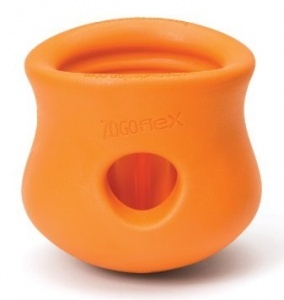 Zogoflex dog toys are some of the toughest dog toys in the world and GUARANTEED against damage. Zogoflex dog toys are made from a 100% safe and virtually indestructible material. Zogoflex toys all come with a one-time replacement guarantee. Discarded or damaged Zogoflex dog toys can be returned to us for recycling. Toppl is a new interactive treat toy. It traps treats with its inner ridges and tips over to keep dogs entertained and challenged. Interlock the two sizes for a fun challenge that will get your dog using their brain. 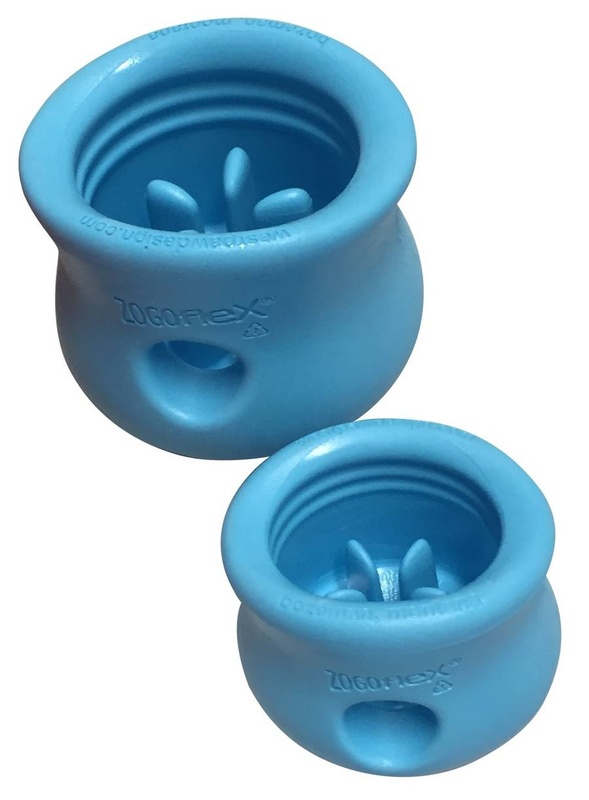 Like all of the dog toys in the Zogoflex dog toy line, Toppl is guaranteed against dog damage. Made in the USA, 100% recyclable, non-toxic, buoyant and dishwasher safe.